Social interactions play a vital role in the learning process, says Ben Betts in Social Learning: Answers to Eight Crucial Questions, the latest research report released by the eLearning Guild. Learning happens everywhere. We agree that learning can happen in a classroom or a seminar, but we think it can be much more than that. Learning also happens on the job, in conversations we have with our peers. How many times have you learned something just by talking to someone else? By now, you’re likely familiar with our apps such as RabbleBrowser and Tappestry. RabbleBrowser is a great way to share socially in a classroom or meeting setting. We built Tappestry to help you capture what you’ve learned in this scenario and then go back and retrieve it later. Others can enjoy that information, too, whether they’re looking at threads in the app or seeing them posted to social media. Mobile is intrinsically social. Social is intrinsically mobile. A handful of team members from Float Mobile Learning will be on hand at DevLearn in Las Vegas. Float’s managing director, Chad Udell, will be a panelist among Judy Brown’s mobile learning pioneers at 3 p.m. on Wednesday, Oct. 31, and as part of Neil Lasher’s six provocative perspectives on the eLearning industry on Nov. 1 at 3 p.m.
Chad will also be a part of Tin Can Alley, showing how Tappestry was built in the Tin Can API. Additionally, Float representatives will be on hand throughout the DevLearn Expo to discuss how you can use Tappestry for your organization or your event. Stop by our booth to show us your threads and you’ll be able to redeem prizes! 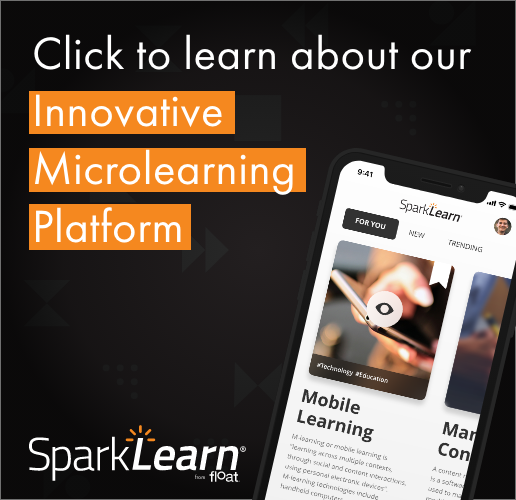 The American Society for Training and Development has established a new certificate program for mobile learning, and they’ve asked Float Mobile Learning to teach it. Chad Udell and Float senior analyst Gary Woodill will present a hands-on, two-day workshop for learning and development professionals in several cities over the next 12 months. Among other takeaways, participants will have the tools be able to successfully implement mobile learning into their organization and to then calculate the ROI of a mobile learning application. iPad – Tappestry will now be an iOS universal app, meaning it will be optimized for iPhone, iPod Touch and iPad. PIN NUMBERS – Managers and organizers can use PIN numbers to create a special Tappestry just for their small group or event attendees. PUBLIC/PRIVATE THREADS – Want to log what you’ve learned but don’t want to share it with others? Tappestry will let you create private threads for your eyes only. In addition to iOS, we expect to release Tappestry on two new platforms in October. First, we are wrapping beta testing on Tappestry for Android and hope to release the app to Google Play within the next few weeks. Tappestry for Android will have all of the same features as Tappestry for iOS. After releasing a Web bookmarklet and the Tappestry Web extension for Chrome last month, Tappestry will reach a wider audience by having a fully functioning Web version. For the first time, the Tappestry visualization and all of the app’s features will be available on the Web. Scott McCormick, a founding member of the Float team, will present the Mobile Learning Crash Course at Training Magazine’s 2012 Learning 3.0 Conference. Attendees will learn how to build a process, get stakeholders to buy into mLearning, what challenges await in instructional and interactive design, how to better understand testing and how to take advantage of MDM and MAM solutions. Learning 3.0 takes place at McCormick Place in Chicago on Thursday, Oct. 25.